Not recommended for new designs. 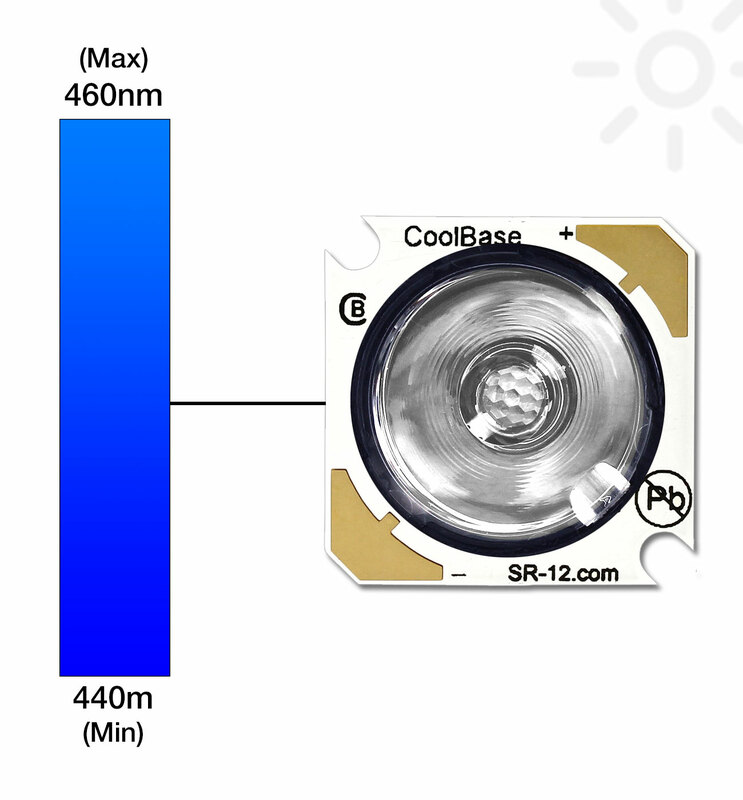 The SR-12-R0500 high power LED lighting assembly has been specifically designed to work as a drop-in replacement for the LXHL-NRR8 Luxeon Star/O that is no longer manufactured by Philips Lumileds. 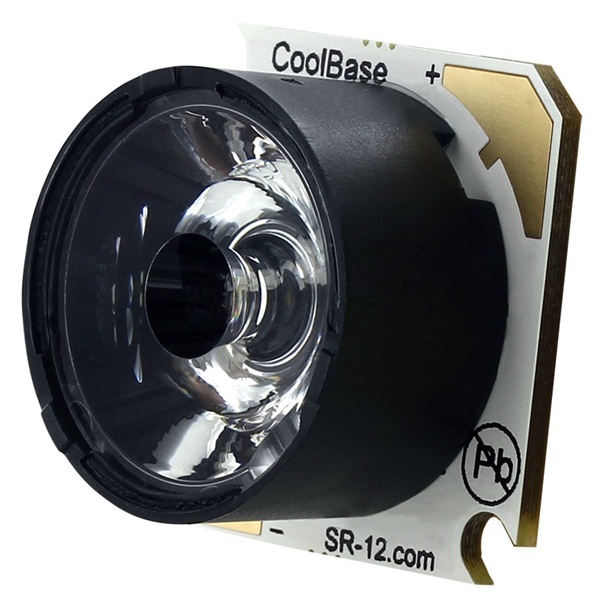 This assembly is built with a Fraen FLP-N4-RE-HRF optic and has a near identical form factor to the original Star/O and can typically be cooled and powered using the same heat sink and driver used for the LXHL-NRR8. As royal-blue LEDs are close to the UV range, LEDs are rated by radiometric power (mW) instead of lumens. Values based on 350mA and a Thermal Pad temperature of 25C. This is the maximum operating current that we recommend for this LED. Higher drive currents may be possible, but will require careful design of a suitable cooling system. Typical thermal resistance from the LED Junction to the bottom of the FR4 board. * Results will vary depending on the quality of the dielectric material used in the MCPCB base. The SR-12-R0500 can be ordered in any quantity with quantity discounts available. Do you need LEDs with a specific flux, color or forward voltage? Order this part in 1,000 piece increments and we will build it using LEDs from the same bin. We can also provide specific bin numbers. Contact us for availability.